It's nothing new, but music licensing fees still plague local businesses. 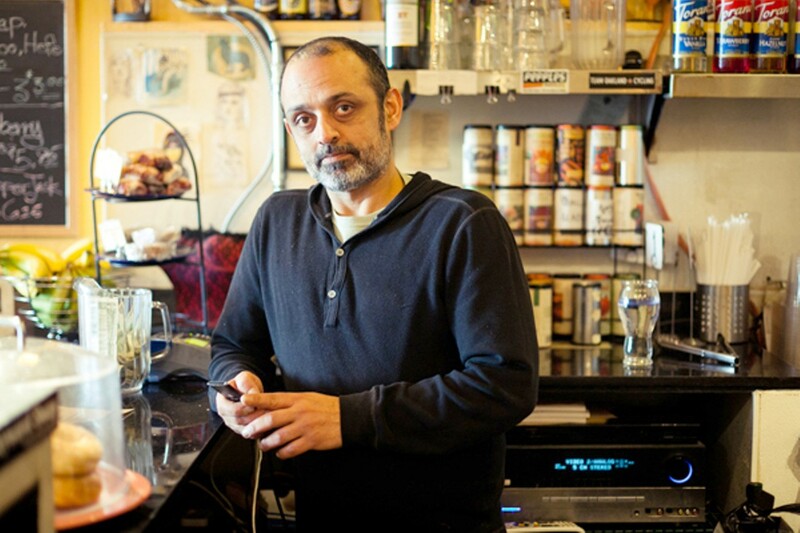 Rooz Cafe owner Steve Ranjbin calls BMI and ASCAP the "music mafia." Imagine Steve Ranjbin's surprise when a representative of the music licensing giant BMI walked into his Oakland business one day and told him that the music he was playing on his stereo was subject to fees. Ranjbin had purchased the CDs, and he thought he was free to do what he wanted with them. But now BMI was telling him he had to pay an additional $340 a year for the right to play them in his Piedmont Avenue coffee shop, Rooz Cafe. Adding to his confusion was the fact that other local business owners he talked to had never heard of such requirements, and weren't paying any fees. Ranjbin didn't understand whether they were really legitimate or not. But his failure to respond just resulted in more aggressive requests to pay up. He felt he was being harassed by the "music mafia." Most club and bar owners are already paying such fees, but for proprietors of cafes, restaurants, and other small businesses, the world of music licensing is often a surprise — and a harsh one. Because Ranjbin has two locations, one on Piedmont Avenue and one on Park Boulevard, he found he had to pay separate fees for both. Then the American Society of Composers, Authors and Publishers (ASCAP), the other major music licensing organization — caught wind of his cafes, too. Ranjbin was soon on the hook for more than $1,300 a year to play CDs in his cafes. Eventually, Ranjbin caved. But in other cases, it's not an issue of ignorance. Last year, BMI (along with other plaintiffs) sued Masses Billiards Sports Bar and Grill in Walnut Creek for failing to pay proper licensing. According to the filing, owners Maurice and Christine Paden had been paying for a BMI license until 2008 but then stopped, claiming it would no longer play BMI-affiliated music. But that apparently wasn't the case. Last December, a San Jose district court ordered the owners to pay BMI $21,000, plus more than $11,000 in legal fees, for playing three songs — "Everlong," "You Can Call Me Al," and "I Wanna Do Bad Things With You a/k/a Bad Things" — without a license to do so. Ari Surdoval, BMI's director of corporate communications, says the company does not often take such cases to court, and, in fact, tries as much as possible to avoid legal proceedings. "We license 650,000 businesses in the US. Every year there are maybe two hundred cases that go to court," he said. "The average time that BMI communicates with an establishment is three years. They receive in that time maybe fifty letters and as many or more phone calls. "It's in the constitution," he continued. "We're not making up the laws or anything." It's true. According to US copyright law, any music played outside a normal circle of friends and family is considered a "public performance," and thus requires permission from the copyright owners. Buying a CD or downloading a song only covers personal use. This is one way that songwriters make money. BMI estimates that it licenses half of all the songs played on the radio, and represents 500,000 songwriters. Surdoval stresses that, contrary to popular belief, BMI is not raking in cash for profit, but merely acting as a conduit between businesses and songwriters. The not-for-profit organization distributes 86 cents of every dollar to its artists, according to Surdoval, and operates on a 14-percent margin. Last year, it distrbuted $800 million to its songwriters. Granted, for the average local band, earnings from music royalties are miniscule to nonexistent. But then again, playing music is generally considered a money-losing endeavor, so anything is better than nothing. The minimum BMI licensing fee is $335 a year, which provides unlimited access to 7.5 million songs, says Surdoval. The cost of a license depends on the square footage of the establishment, occupancy level, the type of music played, as well as how central music is to the establishment's business model. As BMI sees it, music enhances the experience of the business' customers. "The profits that can be generated by the use of music is immeasurably greater than the fee they pay," Surdoval said. Playing the radio is a slightly different story, however, since radio stations already pay licensing fees to ASCAP and BMI. Only food or drinking establishment that are 3,750 square feet or larger, or any other business that's 2,000 square foot or larger, must pay for a separate license to play the radio — and only if they have more than six loudspeakers, more than four loudspeakers in any one room, or if there is a cover charge. Pandora radio adds another dynamic, since Internet radio is not regulated by the FCC and thus not covered by the same terms as terrestrial radio. Though the Oakland-based company pays its own fees to BMI and ASCAP, the service is for personal use only. Confused yet? So, apparently, are many business owners. A recently commissioned study of a small number of retailers by the commercial music licensor DMX revealed that the vast majority of them that play music in their stores do not pay for a licensing service. The reason is a "lack of awareness," acccording to DMX COO Chris Harrison. The Austin-based company provides background and foreground music to major retailers like the clothing chain Abercrombie & Fitch via a proprietary stereo. But it also licenses to small businesses. "A lot of people were using iPods, and when we would say you're not covered, you need to pay licenses to do this, for some of them it wasn't enough that they should buy our service," Harrison said. "Over time, we couldn't find a way to effectively market to that local business." So last fall, Pandora and DMX launched a fully-licensed Pandora radio specifically targeted to small businesses. Harrison says any size business that uses music as an enhancement (gyms classes must pay for a separate license) can use the radio, but so far the product is popular among retailers and restaurants. The player costs $99.95, plus $24.95 per month (about $4 cheaper per month than BMI's lowest fee). It appears to be a more affordable option for small businesses, especially when taking into account the need to pay ASCAP. The reason is that DMX licenses 100,000 businesses at a time, says Harrison. "We get licenses at a lower rate than a business that's negotiating that individually." Despite being on the market for only a few months, Harrison says the response has been "tremendous." "We're selling tens of devices every day, seven days a week," he said. All that's required is a Pandora account. If users have a premium account ($36 per year), there are no ads and no timeouts. That seems like an obvious threat to BMI and ASCAP's business model. Surdoval said the Pandora/DMX box is "under review" by BMI. 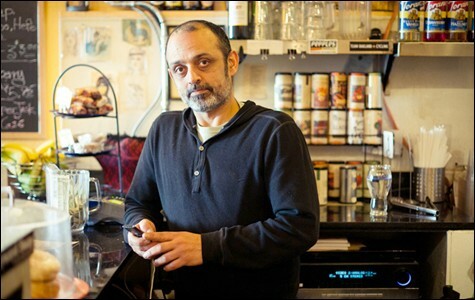 Meanwhile, it might be a more viable solution for business owners like Ranjbin. He decided to stop paying BMI and ASCAP this year when he was informed that his fees would be raised 5 percent for "cost of living" expenses. Recently, he received a letter from BMI's lawyer, threatening legal action if he didn't pay within ten days. He paid the bill, but minus late fees and the price increase. He's hoping that will satisfy them, but his odds don't look good. "People still think they're not going to lose," said Surdoval. "I can't think of a case we didn't win."